Ocean Prime invites Atlantans to beat the heat with Half off the Half Shell, beginning Monday, July 15, through Friday, August 30. Guests in the bar and on the terrace can enjoy fresh oysters from the raw bar including Blue Point, Fanny Bay and Royal Miyagi for just $1.50 each, normally $3 each, every weeknight. Carefully cultivated and hand selected, there’s nothing halfway about Ocean Prime’s impeccably fresh oysters on the half shell. Ocean Prime is located at 3102 Piedmont Road, NE, Atlanta, Ga., 30305. The restaurant serves dinner Monday through Thursday from 5 to 10 p.m., Friday and Saturday from 5 to 11 p.m. and Sunday from 5 to 9 p.m. The restaurant features live music Friday and Saturday from 7:30 to 11:30 p.m. in the Blu Lounge. 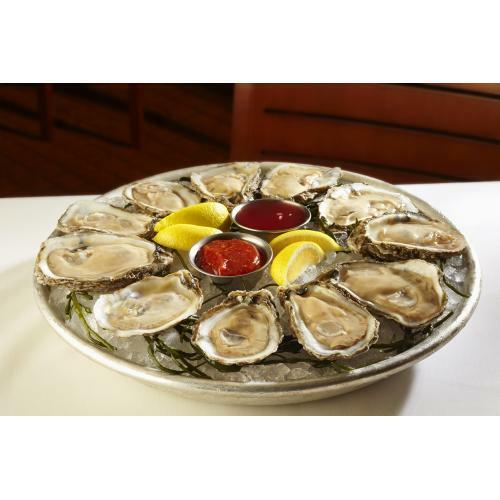 For more information and to make a reservation, please visit http://www.oceanprimeatlanta.com or call 404.846.0505.